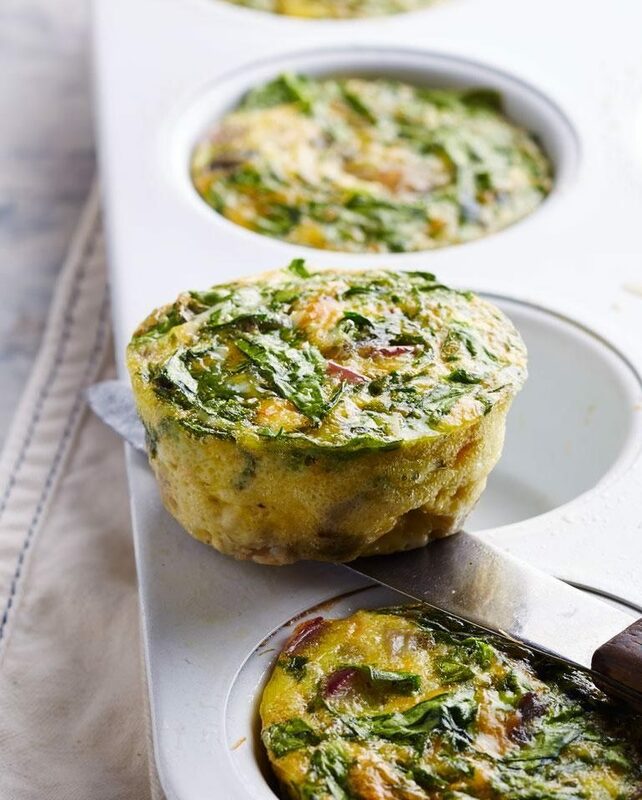 Potatoes, cheese and greens make this mini quiche recipe delicious and satisfying. Bake up a batch over the weekend and you’ll have breakfast available in a hurry for the rest of the week. Preheat oven to 325°F. Coat a 12-cup muffin tin with cooking spray.Heat oil in a large skillet over medium heat. Add potatoes, onion and ¼ teaspoon salt and cook, stirring, until the potatoes are just cooked through, about 5 minutes. Remove from heat and let cool 5 minutes.Whisk eggs, cheese, milk, pepper and the remaining ½ teaspoon salt in a large bowl. Stir in spinach and the potato mixture. Divide the quiche mixture among the prepared muffin cups.Bake until firm to the touch, about 25 minutes. Let stand 5 minutes before removing from the tin.